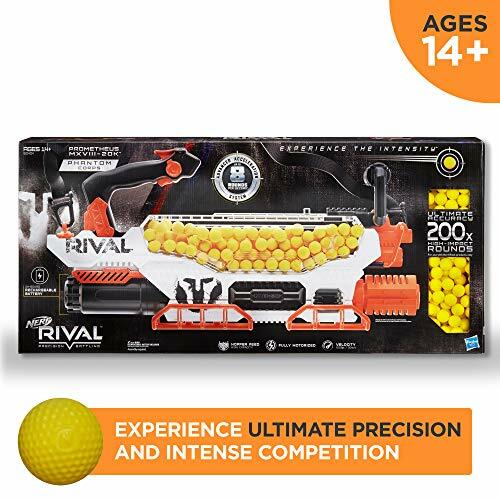 Experience the intensity of this Nerf Rival toy blaster that bombards opponents with up to 8 rounds per second*! 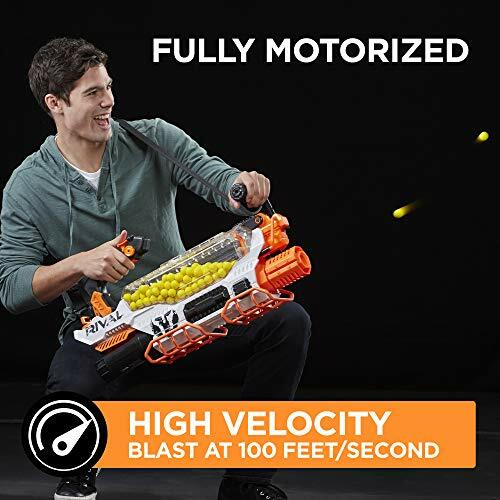 The fully motorized Prometheus MXVIII-20K blaster holds a whopping 200 rounds in its easy-loading hopper and fires rounds at a velocity of 100 feet per second (30 meters per second). 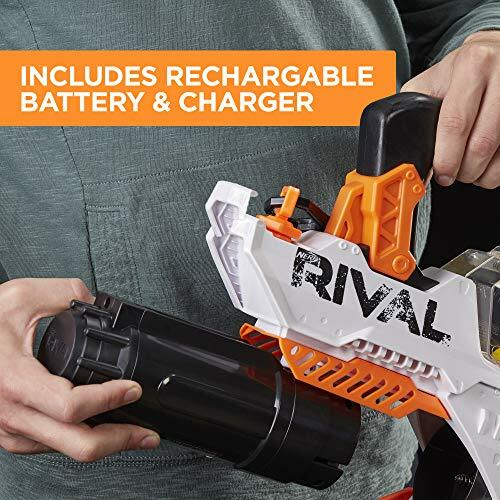 It includes a rechargeable NiMh battery, so there’s no need to stock up on batteries to power up this juggernaut. 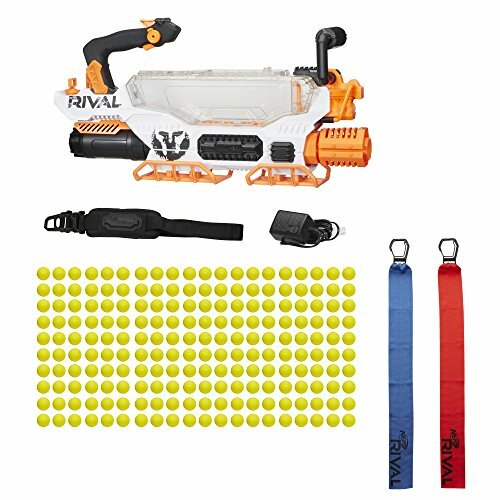 It comes with 200 high-impact rounds and has a trigger lock, tactical rail, and shoulder strap. The Prometheus MXVIII-20K blaster is part of Phantom Corps, a group of rogue specialists who may join Team Red or Team Blue today, then challenge them tomorrow. Wear the included red and blue flags to join Team Red or Team Blue, or use them in capture-the-flag battles. 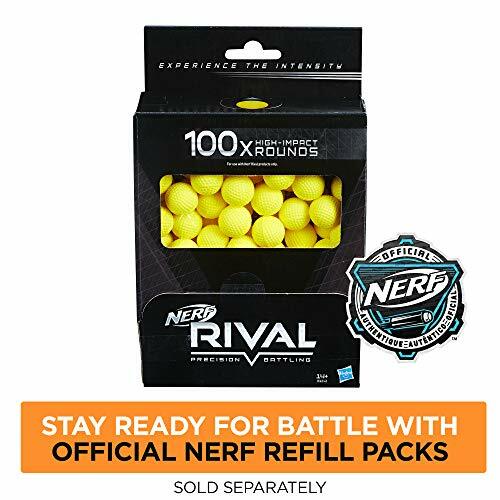 Nerf and all related properties are trademarks of Hasbro. *Highest rate of fire is with a full hopper and fresh battery. 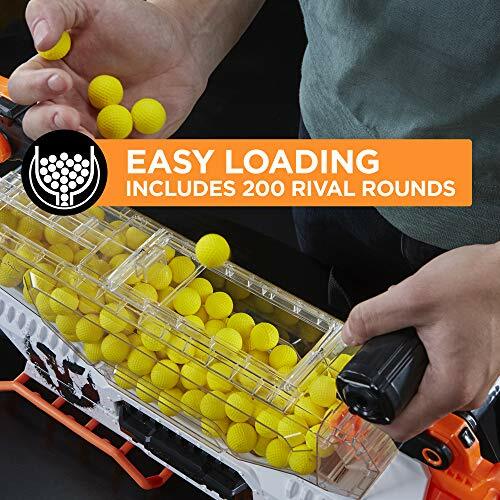 Rate of fire decreases as the hopper empties and the battery drains.